A Maine artist managed to carve a unique niche for herself by using moose droppings as the main medium for her artworks. 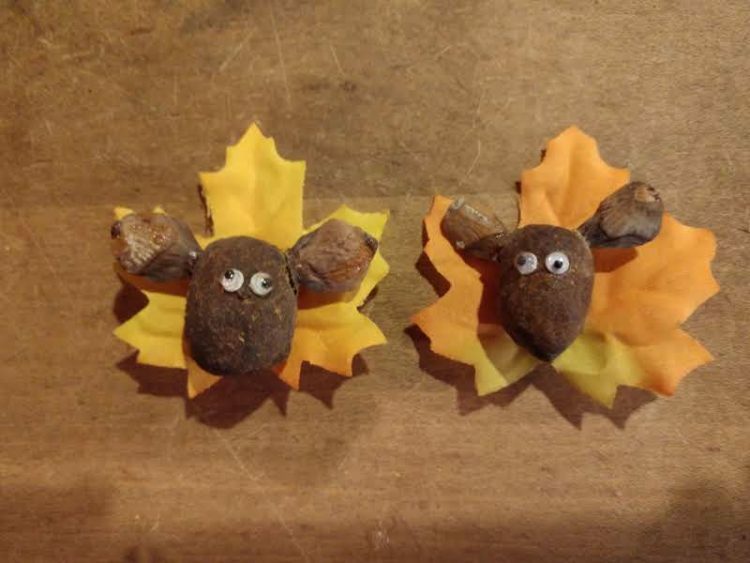 It’s not clear when or how Somerville resident Mary Winchenbach got the idea to use moose poop to make art, but after showing off her witty-named “Tirdy Works” at the Common Ground Fair, in Unity, Maine, people have been going crazy for them. Her official Facebook page has thousands of ‘likes’ and comments from people wanting to buy some. Her collection of Tirdy Works features clocks, figurines, jewelry, among other things, all made with genuine ‘Maine Moose Tirds’. One of the coolest items in Winchenbach’s Tirdy Works collection is the “Poopoo o’clock”, a an old wooden cuckoo clock with bits of moose poop crammed between the numbers, “so there’s one turdy – two turdy- three turdy”. The artist claims that all poop incorporated in her artworks is locally-sourced. All she has to do is go out and track a moose, and she can stock up on all the material she wants. “We just go out and track the moose and wherever the moose are there going to take a crap and I have found that when I moose takes a dump you walk about 50 yards in any direction and they take another dump,” Winchenbach said. So if you’re fed up with conventional art, head over to the Tirdy Works Facebook page and get yourself something truly special.